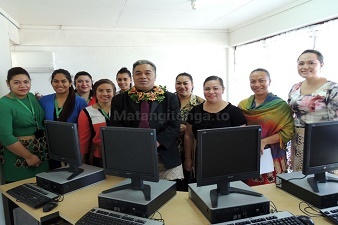 MEAA has donated computers to a Tongan charity helping young people find work. The 15 computers were shipped to Tonga by Heilala Charity Group to assist non-profit organisation, Tonga Youth Employment and Enterpreneurship, which supports youth access to information, training and job opportunities. TYEE has launched a new website to provide an online platform that will connect job seeking youths and employers, or to start their own small businesses. TYEE places a particular emphasis on young people who, due to personal circumstances, left school early. The computers that MEAA donated have been set up in TYEE's small Nuku’alofa Office, to be utilised by job seekers during the day, and then at night for computer classes for young people. See here for more details on how TYEE plans to use the computers.